Salt Lake Community College students have the largest law enforcement agency in Utah protecting them while they are on campus. 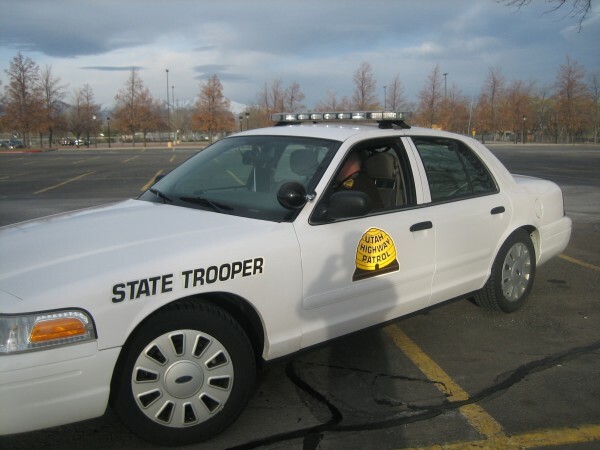 Many SLCC students don’t notice, but the Utah Highway Patrol, or State Troopers, are always present at the main college campuses. According to Shane Crabtree, director of public safety for SLCC, the UHP is the contracted first responder for the major campuses, including South City Campus, Taylorsville Redwood Campus and the Jordan Campus. The college has agreements with local law enforcement for its other campuses, such as West Point, the airport and Tooele. The patrolmen who work at the college work there exclusively. So, if there was a bad snow storm and the UHP needed extra officers on the freeways, they could not call the officers at the college to come help. Also, if a student was to call local law enforcement about a lost backpack, authorities will say that they cannot do anything until you are ready to report it stolen. Salt Lake Community College had its own law enforcement for 20 years. Because of the enlargement of the college due to campuses being added and the budget not being adjusted, the college could not provide the necessary law enforcement. The reason for the UHP being at SLCC boils down to money and resources. The college signs a contract with the UHP every three years. It has now been re-signed twice. The officers at the college can tap into resources such as helicopters, the SWAT team and local law enforcement if needed in a crisis. For example, if there was a crisis at The Taylorsville Redwood Campus, Taylorsville Police could be called in to help ease the situation. Between the hours of 7 a.m. and 11 p.m. there are up to five officers on the campus. When the campus is empty or has fewer students like on Saturday and Sunday, there is only one officer at the campus. This way the college has access to the law enforcement resources being best utilized when students are on campus. “There is an officer on the campus 24 hours a day, 7 days a week, 365 days a year,” Crabtree said.